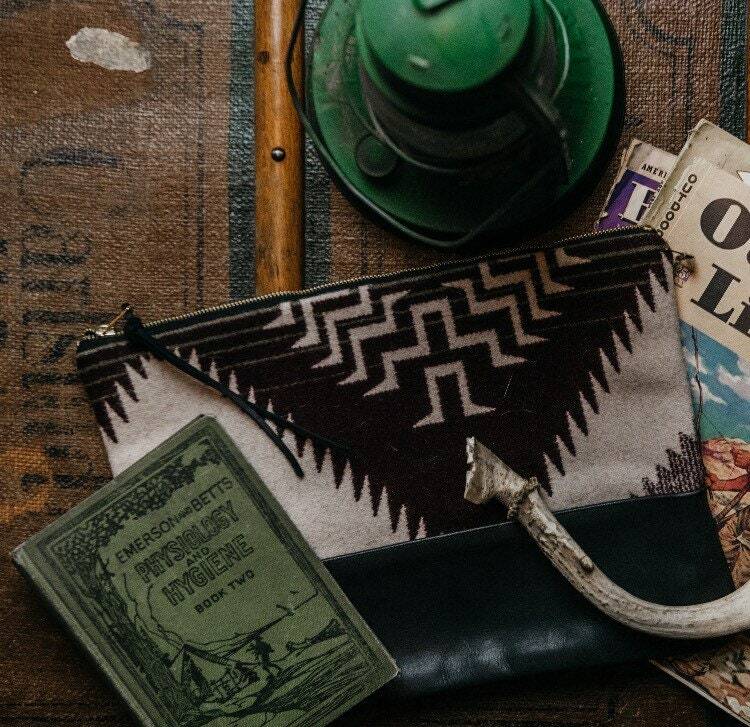 The fabric used for this zippered pouch is genuine Pendleton wool. The fabric is a very nice soft wool, in beautiful shades of grey heather, black and cream. 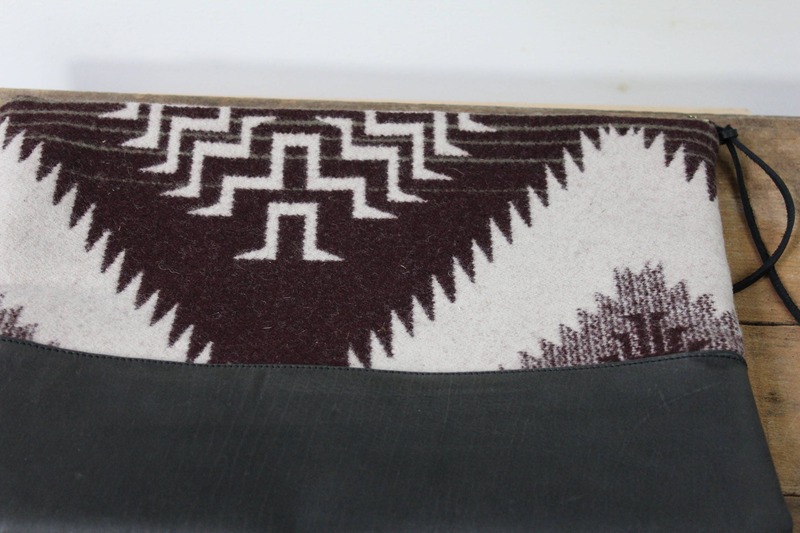 The pattern is a great Navajo style. 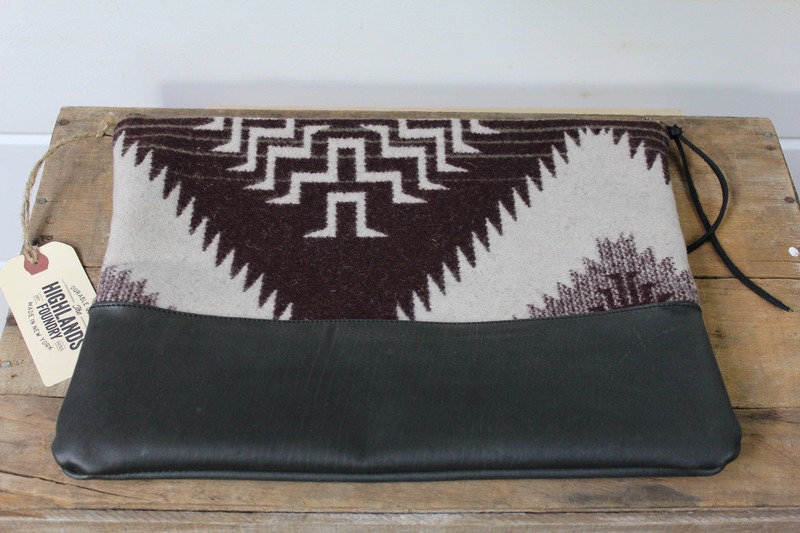 The bottom portion of the pouch is made of black soft 4 oz. leather. 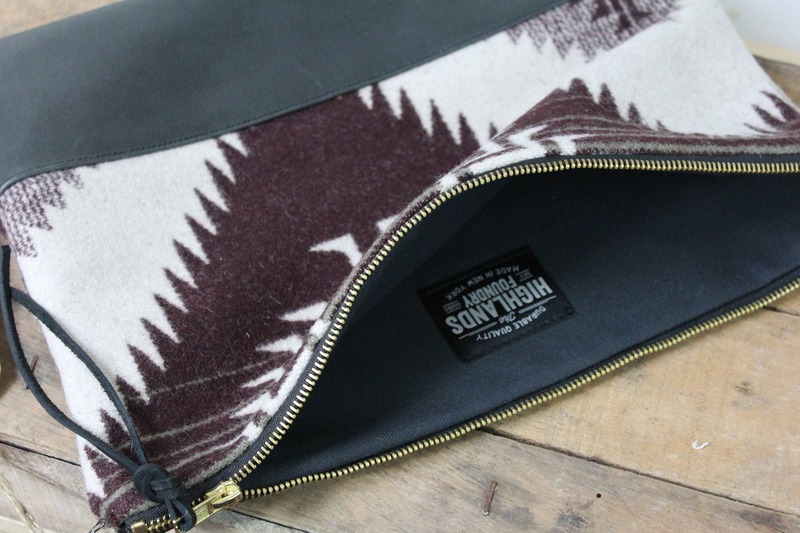 The interior of the pouch is full lined with black canvas and has a heavy brass zipper closure with a black leather pull. 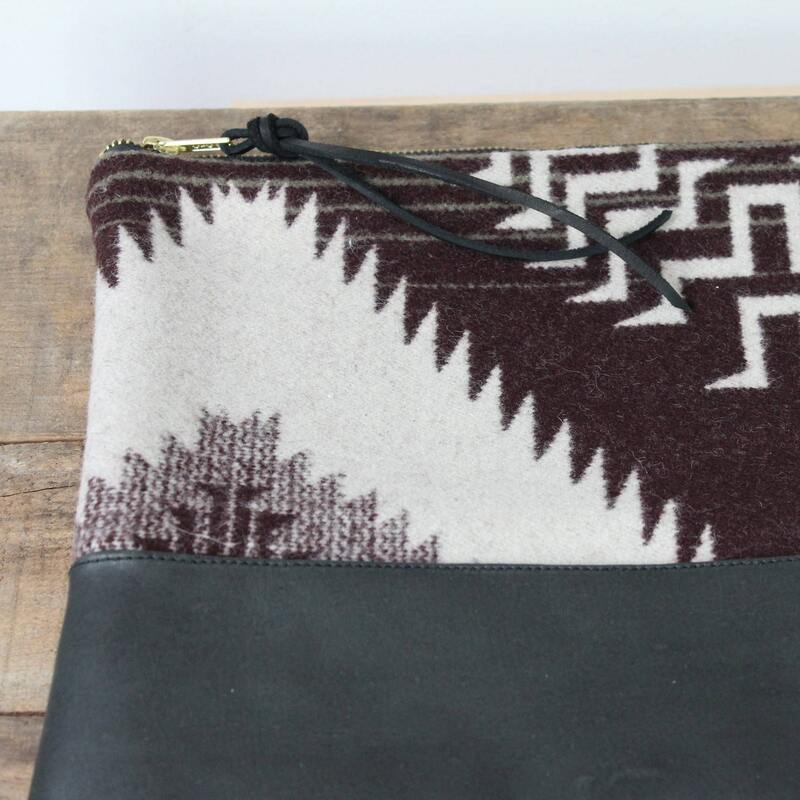 The sleeve can be used as a small laptop carrier or folded over as a clutch. It is such a classic pattern this can be used as a unisex item.